As many of you know, I have a sweet tooth. That was one of my biggest problems prior to eating healthy. I could eat desserts for breakfast lunch and dinner. In fact, did most of the time in my past indulging. I honestly should have created the slogan cupcakes for breakfast. Because this was so me. I'm a huge fan of cupcakes btw. Now let's get back to the post at hand. Of course, while minding my business on Instagram I found this super yummy vegan pecan recipe. Only one problem, pecans check, almond flour check, almond butter. Oh, no!! I was determined to make this recipe happen anyways. After doing some long and hard research I developed the perfect recipe. I was so surprised at how to great this recipe turned out. I love that I didn't add a ton of oil. 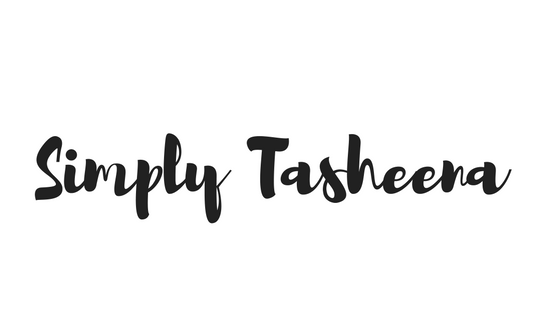 Though coconut oil is a healthier alternative, I still try to be mindful of my intake. This recipe was too good. I could envision this recipe paired with vegan ice cream. That would totally bring this recipe to the next level! Also, I would like to apologize about not getting a lot of before photos. I was honestly in the midst of developing this recipe and I wasn't sure how it was going to turn out. Also, while taking after photos my SD card wasn't in my camera **sigh** I guess I should be thankful that I was able to get a couple of photos prior to indulging in the last few bites. Trust me, your non-vegan friends won't have the slightest clue that this recipe is vegan. It's that Good! Perfect to indulge in any day! Line an 8x8inch baking pan and set aside. In a mixing bowl add the crust ingredients (almond flour, apple sauce, and maple syrup) and combine. Spoon in the dough on the lined baking pan and create a thin layer. Use a fork and poke a few holes across the crust and bake for 30 minutes until the edges are golden. Remove from oven and set aside while you prepare the filling. Add the coconut oil, coconut sugar, maple and salt to a medium sized saucepan. Whisk together and melt over medium-low heat and simmer. Bring up to a boil for about 30 seconds and then remove from the heat. In a small bowl whisk together the almond milk, starch, vanilla extract, and flax egg until no lumps remain. Pour that mixture into the sugar mixture and whisk to fully combine. Place in the middle of the oven and bake for 25 minutes. Remove from oven and let cool for two hours before cutting in to. Enjoy! This looks so yummy and it's a great way to have a healthy snack when I'm craving something sweet but don't want to blow my diet. I'll have to try this recipe because I love pecans. Now these sound delicious and who doesn't mind a sticky gooey mess when it comes to pecan bars. Like have a piece of pie without the crust. I just love pecan stuff, so I'm sure I'd love these. I go through tons of pecan pie during Thanksgiving. I will be trying these for sure! Being vegan I do appreciate a new recipe and these look like a great dessert option. I will get the pecans and try and make this one soon. This one looks SO good! I am not vegan myself, but I am trying to eat healthier and this looks delicious! The crust would be ideal for my lemon bars. Stealing this recipe. My husband likes pecan pie, and I'm thinking that he would probably like these, too. I will have to make them for him. It's great to have some vegan recipes. These look delicious! I like pecans a lot but don't use them much in recipes, and this would be a good one to try. 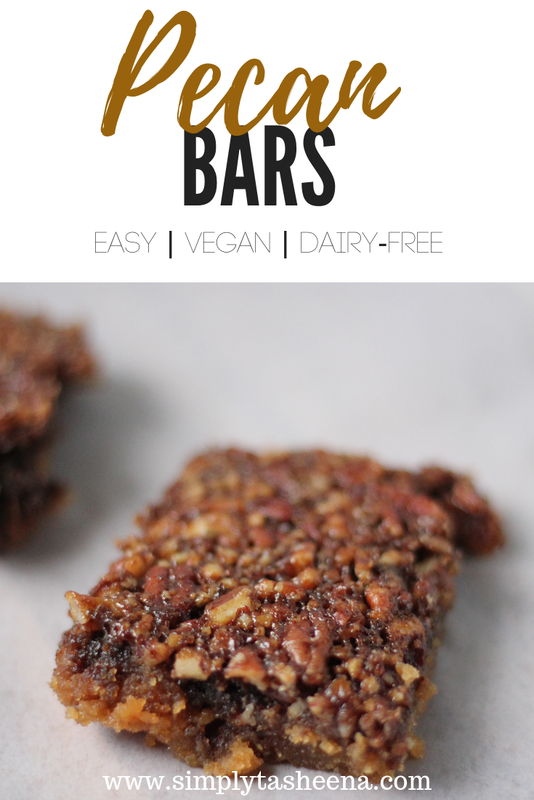 These pecan bars look so good! I love the vegan recipe as I often cook with alternative ingredients too! These look so delicious! They are sure to cure any sweet tooth, even if said sweet tooth is not vegan! Looks great. I live in Georgia, so I am a fan of all things pecan. 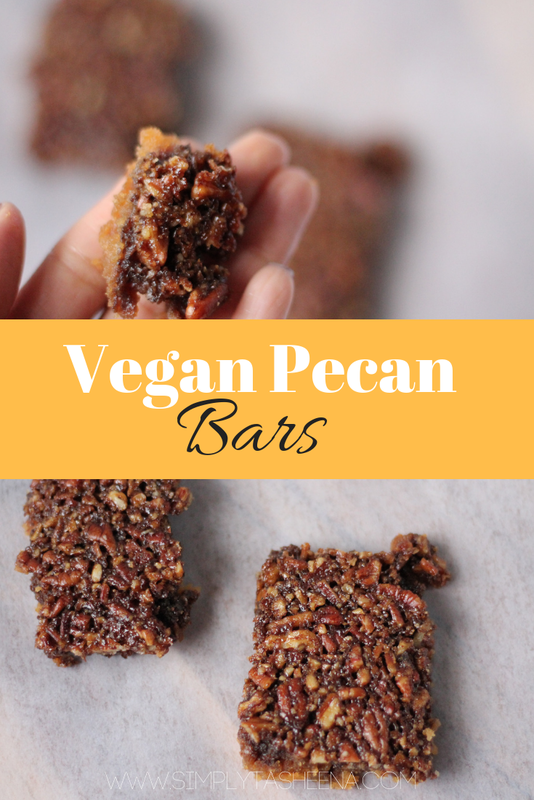 These vegan pecan bars sound really good! I'm always on the hunt for new vegan dessert options. I'm going to have to try these. I love anything with pecan, salad, dessert, are just plain pecans, I can eat it all day. This looks such a real treat. If these pecan bards do not look (and I bet taste) delicious, I don't know what is! My husband would love this. I don't even think I would need to make the bars. Just hand over the bowl, please. I think they look tasty! The nut bars are so expensive so it is nice to have an easy to make at home version. I can't believe that these bars are vegan! They look incredibly delicious!